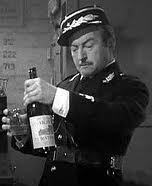 Vichy Water in the movie, Casablanca! I woke up this morning in acute gastric distress. My tummy hurt! When I was little I would tell my Mom I didn’t feel good and she would ask if my tummy ached and would tell me to lie down and she would bring me some “fishy” water. At least that’s what I thought she said. I was much older when it turned out she gave me (and my siblings) Vichy water, a mineral water from France.To this day I don’t like mineral waters except for Ty Nant. But it did help. Have you ever had that horrible, gut-wrenching (not hyperbole here) pain? It’s somewhere between your lower rib cage and your pubic bone. You look like you’re seven months pregnant. You don’t know if farting or burping would help but you know something inside needs to come out! And, to quote the wise Shrek, “Better out than in, Donkey!” I’m not nauseous but I feel like someone pumped me full of some electric substance. Maybe if I go sit on the throne. Ahh. A little better. Definitely gaseous. Oh well, the human body is miraculous! Another remedy my Mom had and I’m told almost everyone’s Mom had this one, too, ginger ale. It was the curing comfort for nausea, fever, troo la la (that mysterious illness that keeps you from going to school when you really don’t want to) and most things that ailed us. I don’t remember chicken soup being the universal cure but I preferred tomato soup anyways. I still love ginger ale (sometimes with Crown Royal) and Canada Dry ginger ale made, and still makes me, proud to be Canadian. Do you know what we would do if flooding threatened our country? 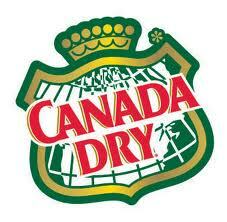 We could drink Canada Dry!!!!! It’s a kid’s joke and it definitely made me feel better as a kid. I’ll get Norm to pick some up. It beats fishy water and Pepto Bismo. ~ by 1fatgirlshrinking - Diane Kirby on April 25, 2012. This is going to sound weird.. Lol. But I get regular colonics(2 a year) the Naturopathic DR told me that when I get those feelings it’s really hard poop that’s stuck in a sensitive squirrly part of our intestines and as the day progresses it moves and eventually comes out. Thanks, sometimes a fart is just a fart! Regularity does make us function well. I’ve had a perforated bowel and it is still very sensitive so I’m very careful. I do need to be more careful with Franks Red Hot, though. When your Mom says it’s good for you, you HAVE to drink it!